Welcome to This Week’s Look’s 100th post celebration. /streamers. Bringing fashion to the wretched masses since 2011. /noisemakers. Here are some trivial statistics for you research and math types. To date, This Week’s Look has attracted more than 1600 followers and has been viewed 9,150 times. Our busiest day was December 11, 2011. To commemorate this illustrious centennial, below we have curated 100 of our most favorite things. Just kidding. Who has time for that? How about 10? Below are 10 of our most favorite things right now, in no particular order. Click on each image to see the actual listing. 1. 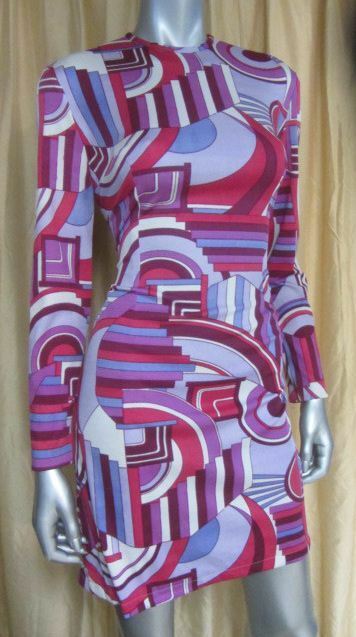 Vintage 1960s jersey micro mini dress. Current bid on eBay is $44.55. 2. 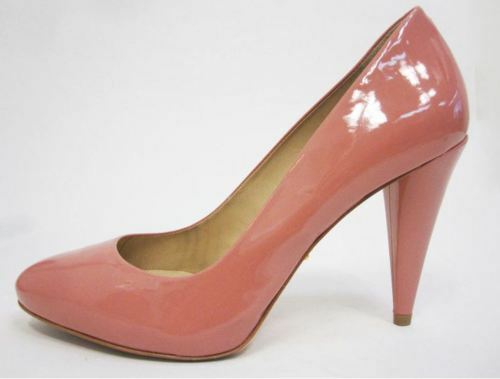 Pour La Victoire blushing rose patent leather heels. $149 on eBay. 3. 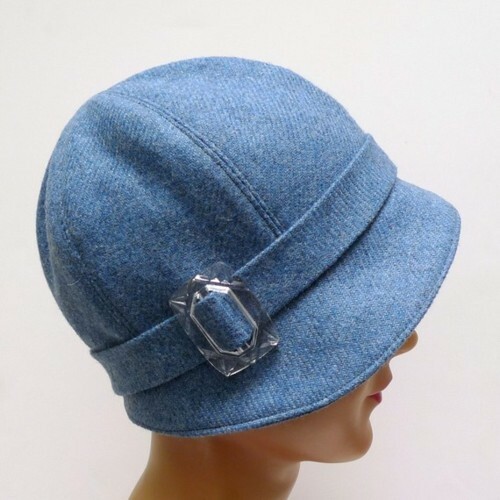 1920s-style cloche in sky blue vintage wool with cut glass buckle. Made by bonniesknitting on etsy. $75. 4. Vintage zephyr wool knit jacket with impeccable shape and structure. Perfect for spring. $38.50 on etsy. 5. 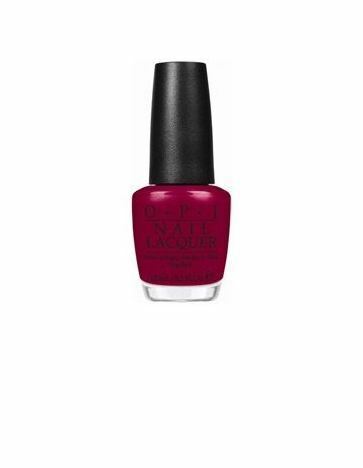 OPI Muppets Collection Nail Lacquer in “Meep-Meep-Meep,” $4.55 on Amazon. 6. 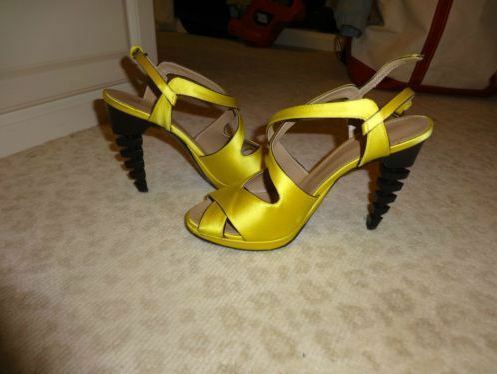 Proenza Schouler yellow satin sandals with carved heels. Current bid on eBay is $100. 7. 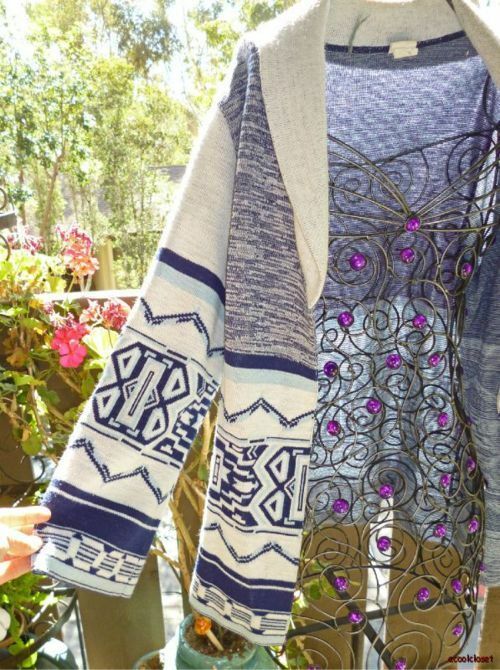 Vintage 1970s southwest space dye knit cardigan. $45 on eBay. 8. 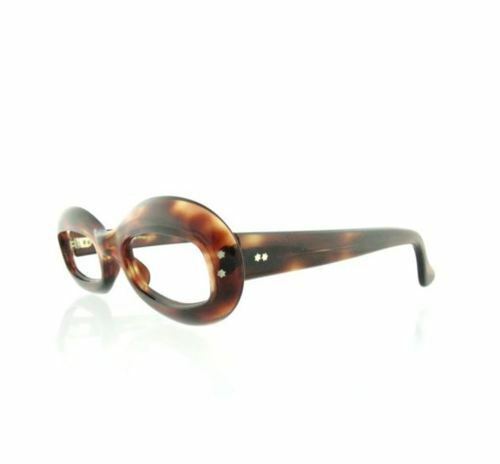 Vintage 1960s tortoise shell frames on eBay. Current bid is $75. 9. 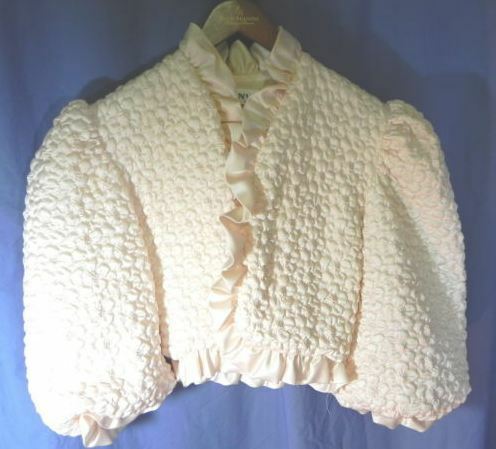 Vintage 1960s Lanvin quilted silk bed jacket on eBay. Current bid is $20.99. 10. 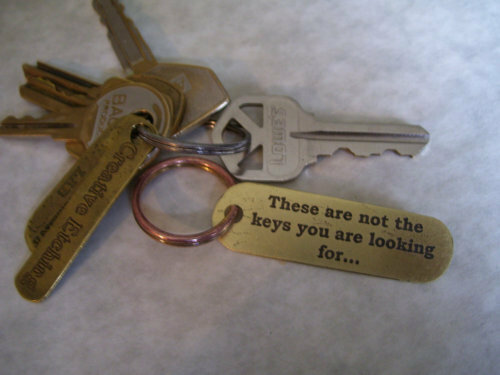 Star Wars Jedi inspired etched brass keychain from CreativeEtching on etsy. $8. 11. Yeah, yeah I said 10 things, but here’s one more. Custom made aviator cap in a nubbly, oaty wool from rocksandsalt on etsy. Comes in men’s, women’s, and kid’s sizes. $68. 12. OK, one more. Vintage 1960s black chantilly lace push up bra from BoudoirBarbie on etsy. $36. 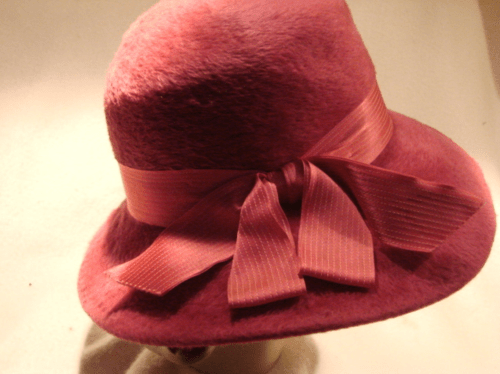 Raspberry berets are so over, but you could never go wrong with this vintage, raspberry mohair, cloche-style fedora, made in Germany. $27 on eBay. Click on the image to see the listing. 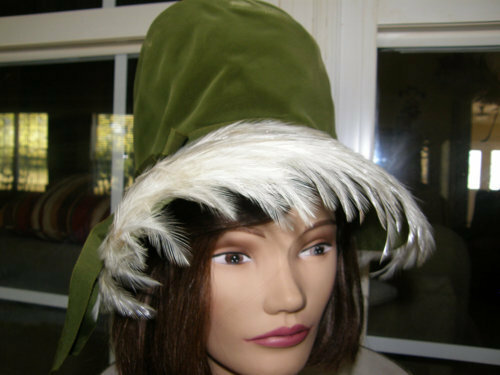 If my head wasn’t so small I would be buying this enchanting hat instead of sharing it with you fine people. 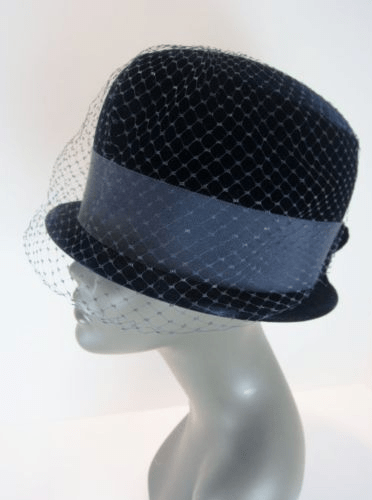 Vintage 1960s velvet cloche in midnight blue. 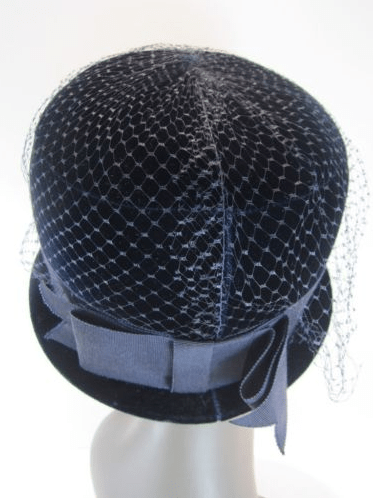 Union made with grosgrain ribbon around the brim and midnight blue netting. $39.99 on eBay. Click on the above images to see the full listing. I apologize for my lengthy fashion blogging absence, but things got kind of heavy. My beloved brother Sean passed away suddenly at age 38, which is far too soon for anyone to leave, especially someone as amazing as him. When I left for D.C., and we still had hope that he would recover, I packed just enough to get me through a few days. Those days stretched into two weeks and I eventually found myself shopping for a dress to wear to his funeral. And a vintage hat of course. I want to express enormous gratitude to Nicholette Alexander, a wonderful seller on etsy who expedited the veiled hat below to me in D.C. so that I could have it in time for Sean’s funeral. That said, “Nicholettes” (as she is known on etsy) is my featured seller this week. 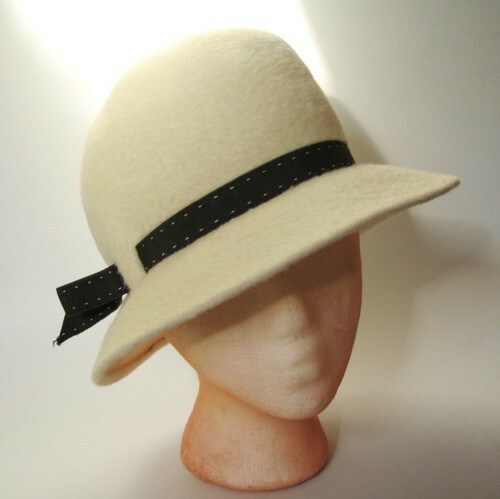 Similar to the one I purchased from her, Nicholettes has a number of stunning vintage hats (among other great vintage finds) available in her etsy shop right now, many of which come with free hat boxes! Click on each image below to see the full listing. 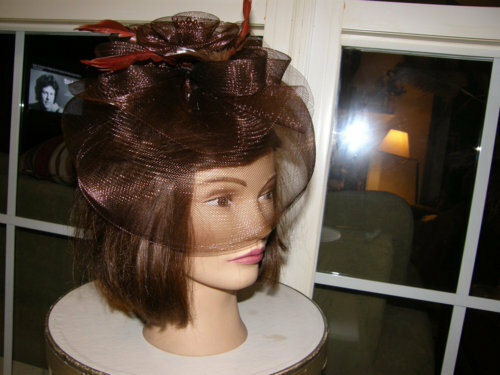 Vintage cocoa brown birdcage hat from Nicholettes on etsy. $25. Vintage velveteen feathered stovepipe from Nicholettes on etsy. $45. 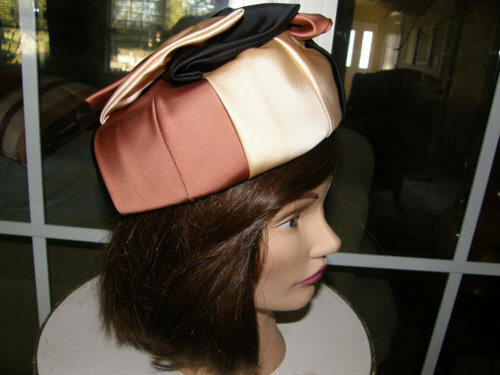 Vintage satin-wrapped pillbox from Nicholettes on etsy. $39. Vintage 1960s mod hat and hat box from Nicholettes on etsy. $42. 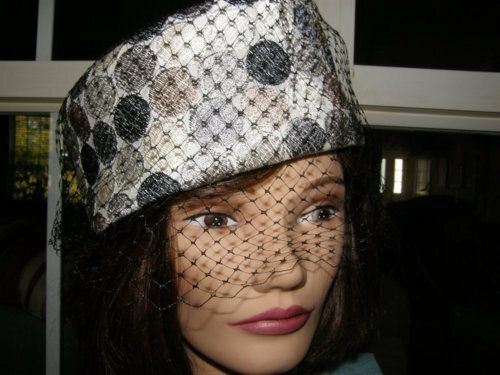 Vintage 1960s “Jackie O” polka dot pillbox hat from Nicholettes on etsy. $42.95. 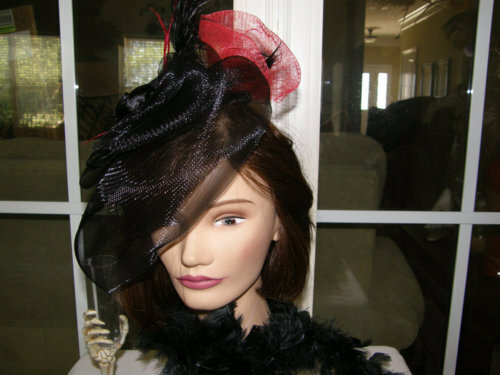 Black and red mini top hat with ostrich feathers from Nicholettes on etsy. $18. 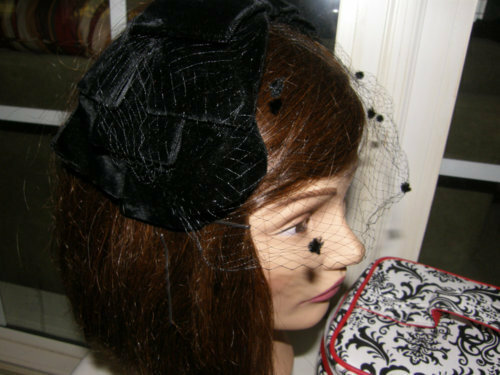 Vintage veiled velvet pillbox hat from Nicholettes on etsy. $29. 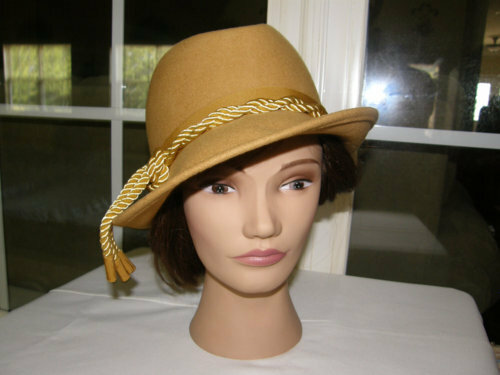 Vintage mustard gold fedora with hat box from Nicholettes on etsy. $39. 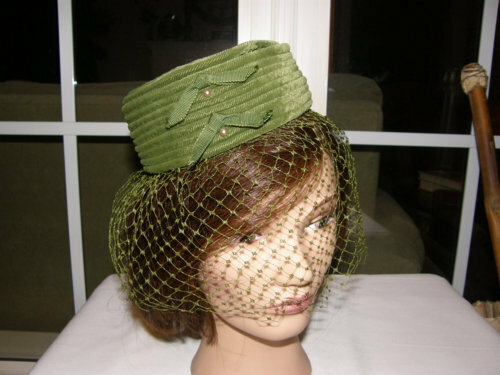 Vintage velvety pleated cloche with free hat box from Nicholettes on etsy. $42. 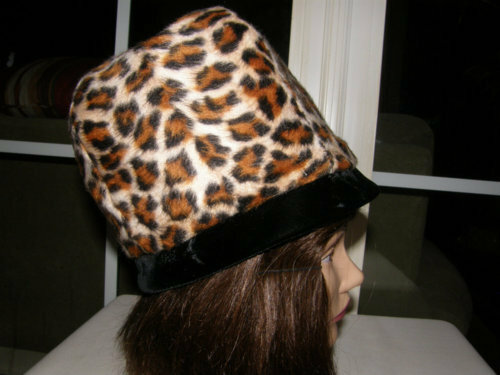 Vintage 1960s so mod faux leopard fez from Nicholettes on etsy. $21. 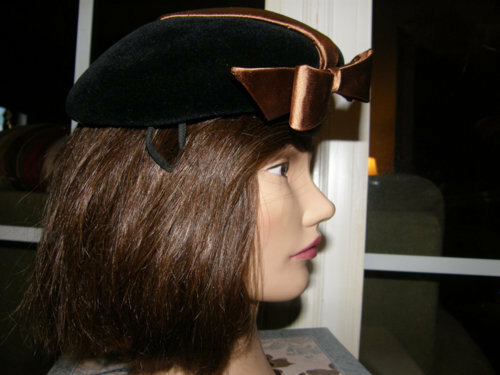 Vintage velour tilt cap with sateen bow from Nicholettes on etsy. $75. 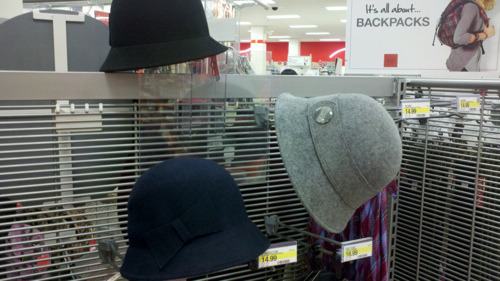 Spotted at Target yesterday, some decent vintage-style cloches for $16. Not bad, Target, no bad. Unfortunately, they only come in one size and my head is on the small side. But hey, it’s what’s inside that counts, yeah? If you love this style, I recently found a nice crop of them on eBay and etsy. Click here to see them all. It was the 1920s. The Great War was over, women won the vote, and the music of the Jazz Age empowered us to bebop our way through a period of sustained prosperity. Of course, women still had it tough, but we were beginning to assert our independence and break free from many sartorial and social restrictions. Indeed, our fashions reflected this new-found freedom. We wore looser, shorter clothes, bobbed our hair and discovered that make up isn’t just for prostitutes. 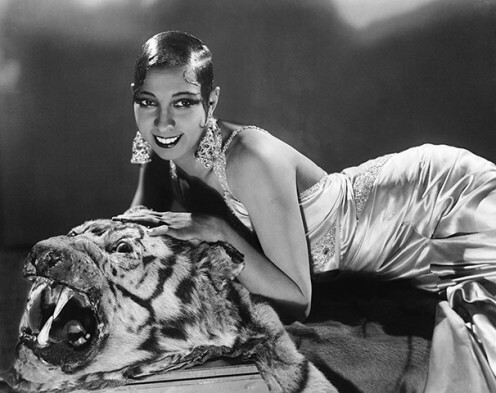 It was also during this time that the hairstyle known as the Eton crop (the short, slicked-down cut worn by Josephine Baker) became so popular. It is said that the Eton crop emerged during this time because it was the best hairstyle to show off the trendiest hat of the era, the cloche. A cloche is a fitted, bell-shaped hat (originally invented by milliner Caroline Reboux in 1908), typically worn very low on the forehead. 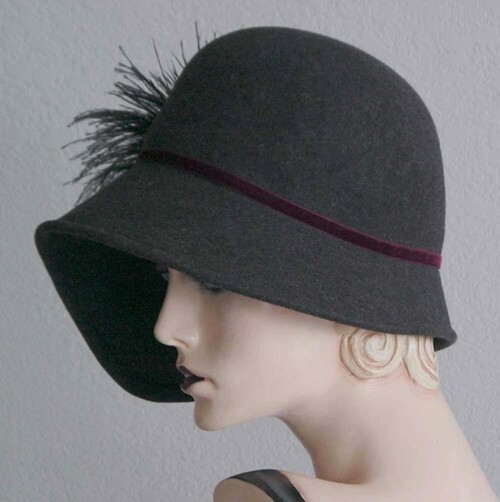 This style of hat peaked in popularity in the 1920s and continued to be seen until about 1933. 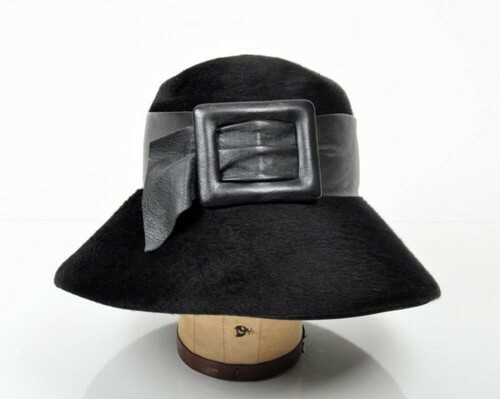 These days, whether vintage or new, cloche hats continue to represent feminism, independence and the height of style. 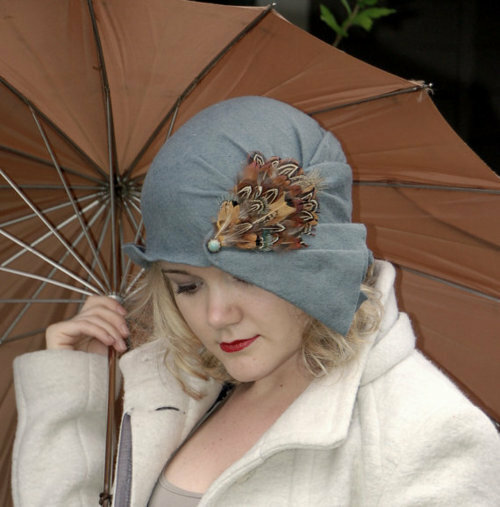 Below we have gathered a selection of vintage, new and custom made cloche-style hats found on etsy this week. Click on each image below to see the full listing. 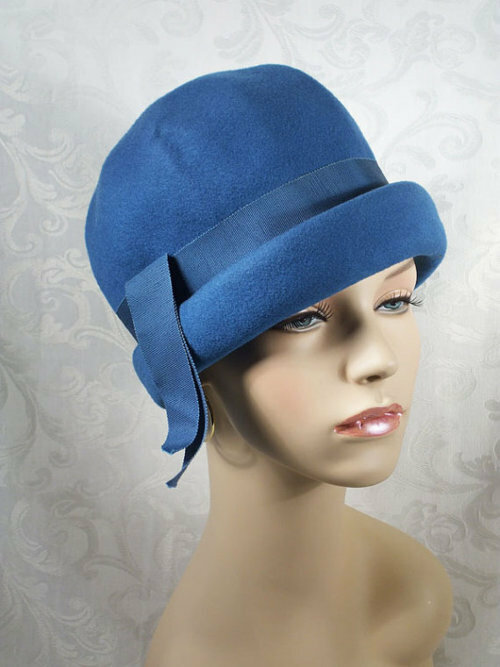 Hand made royal blue cloche with vintage button from yellowfield7 on etsy. $380. Hand made fedora in dusty pink and gray fur felt from TheMillineryShop on etsy. $265. 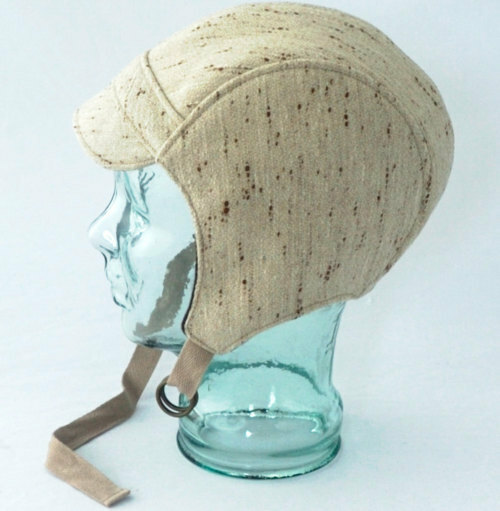 Hand made beige cloche with buttons from RetroReproHandmade on etsy. $69. 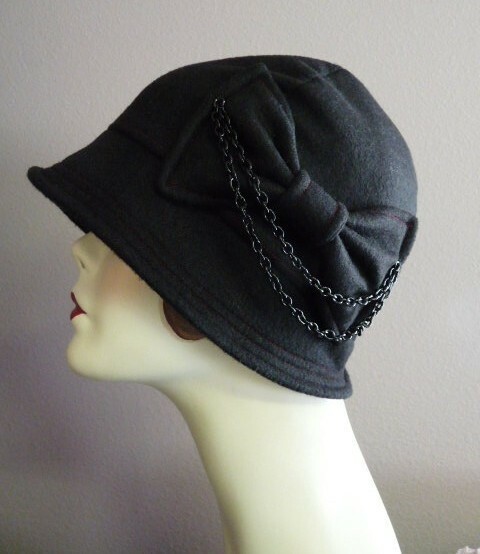 Made-to-order felt cloche (modified from vintage pattern) with bow and chains from FeltFancy on etsy. $30.95. 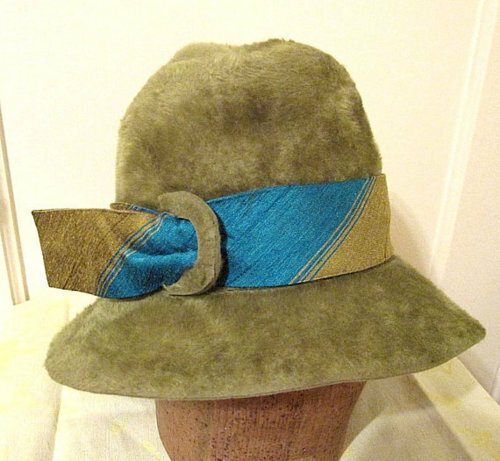 Vintage teal wool cloche from alleycatsvintage on etsy. $38. 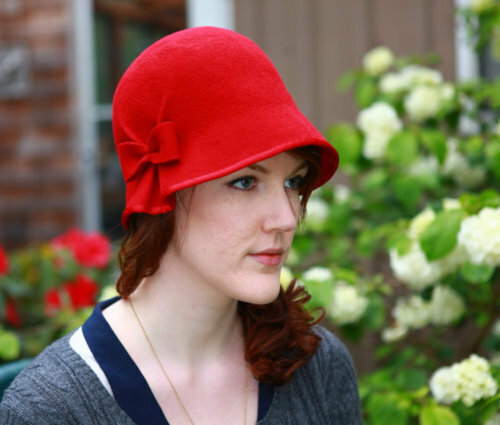 Hand blocked cherry red cloche from Steambobbin on etsy. $105. 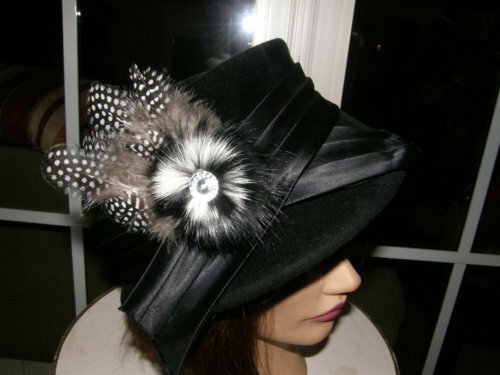 Dark gray felt cloche with feathers from ohmama on etsy. $175. One of a kind, hand made slate and pheasant cloche from KelseyPitney on etsy. $40. 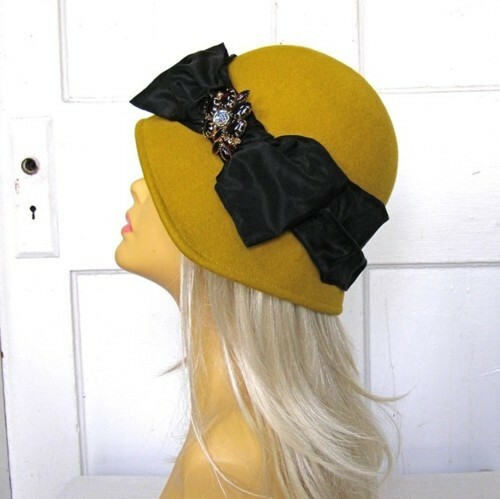 Hand blocked gold wool cloche with taffeta ribbon from neworleansmagpie on etsy. $58. 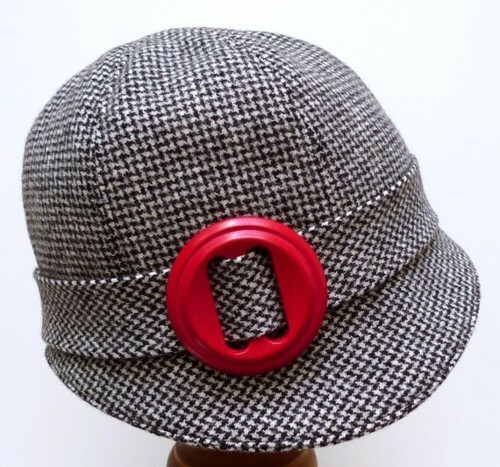 Custom made 1920s-style cloche with red wooden buckle from bonniesknitting on etsy. $85. 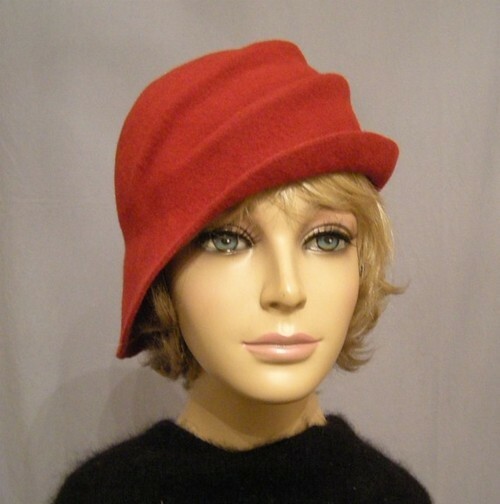 Vintage 1970s furry felt cloche from jackiedretroboutique on etsy. $28. 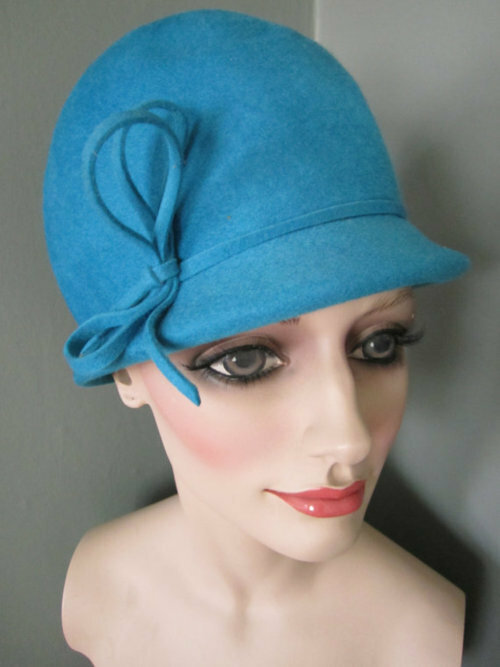 Add a pop of color to your ensemble with this vintage peacock blue felt wool cloche from misswonderful1950 on etsy. $26. 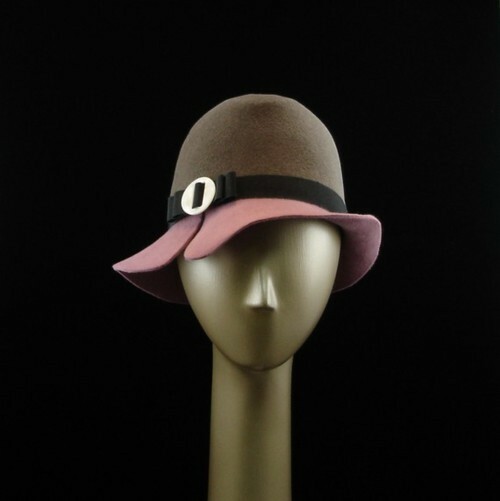 Custom made wool felt cloche with side draped pleats from LuminataCo on etsy. $125. 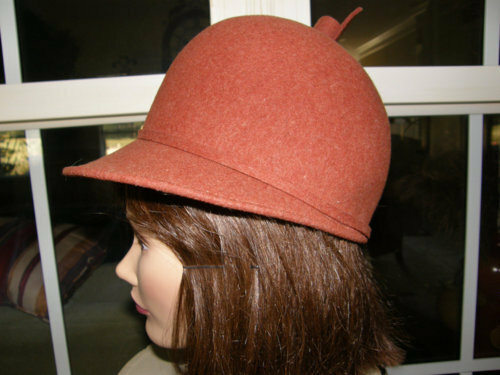 Vintage brushed wool cloche with wide leather band from IKAHN on etsy. $34. Vintage mossy green brushed felt cloche from yellowfeathr on etsy. $24. 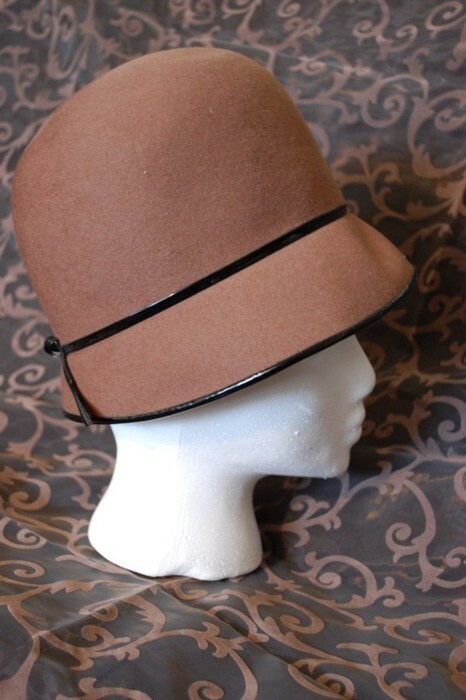 Vintage brown cloche with sleek black patent trim from SparrowGardens on etsy. $30. 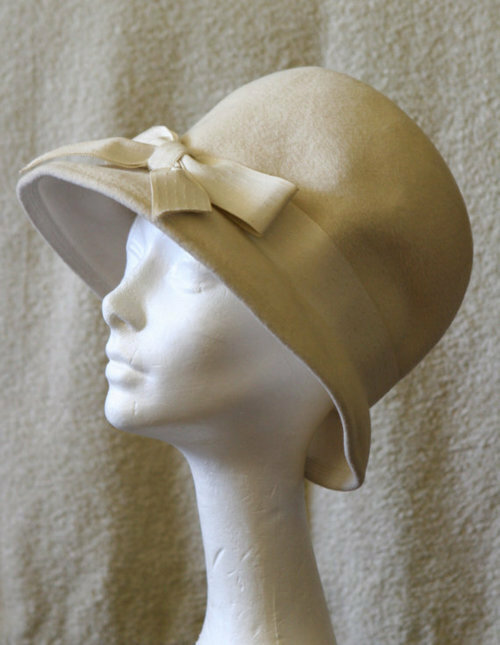 Simple cream cloche with bow from BlancheandEleganza on etsy. $40. Great Gatsby! 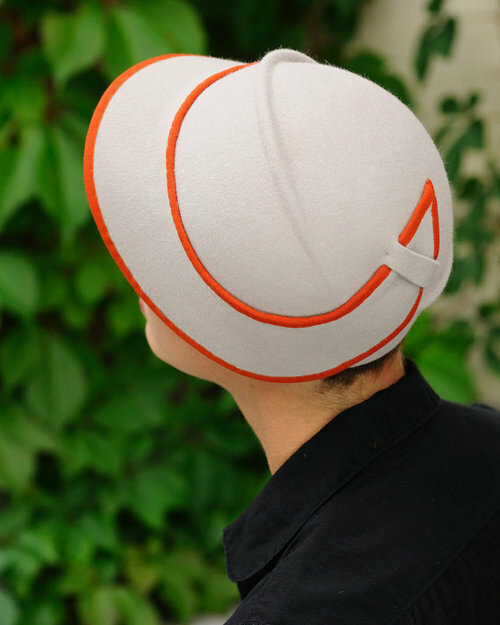 Clementine light gray cloche with orange trim from yellowfield7 on etsy. $385.